It is difficult to relax and find peace in the hustle and bustle today’s fast-moving lives. You get caught up in the daily chores and never ending professional routines. As a result of which, your inner peace and soul is lost somewhere. It is, all the same, every where, but things get tougher if you are living in a metro or big city’s. And if you are a Bangalorite, it can become almost impossible for you to find time to relax. Well, you cannot blame yourself for it. High ambitions and peace rarely walk together. As the saying goes to achieve something, you need to sacrifice something. But this does not mean you sacrifice your peace and well being. Work is important, but taking care of yourself is even more important and the best way to do this is Yoga. There is no better way to relax and find your inner self, than doing yoga. It not only leaves you refreshed, taking away all your stress, but also fills you with energy to deal with all tasks for the entire day. What more, it also helps you burn quite a good amount of calories. We have made the work a little easy for you by listing down a few places to relieve you from all your stress and stay healthy. This is the right place if you are looking for unlimited and rigorous sessions of a workout. Register yourself and feel the change in your life and enhanced personality. The trainers here are professional and will get you motivated to hit the gym. Going to be a mother soon? Well, this is not an easy job and definitely, you need to take some extra step to keep yourself in shape. This is the perfect place for the soon to be mothers. This will not only keep you rejunivated but also keep your baby in good health. Yoga for pregnant women helps in improving the physical, mental as well as emotional well being. We also have something in store for new mothers. Delivering a baby is almost like giving a new life to yourself. The internal organs are very weak post pregnancy and it is very important to get back into shape and good health. A feeding mother usually lacks on good sleep and hence is more prone to get stressed. Practising yoga will surely help her maintain mental and physical balance. It will also help to calm down the post-pregnancy depressions. A yoga retreat is the best way to take a break from daily busy routines and indulge in the much needed relaxation. 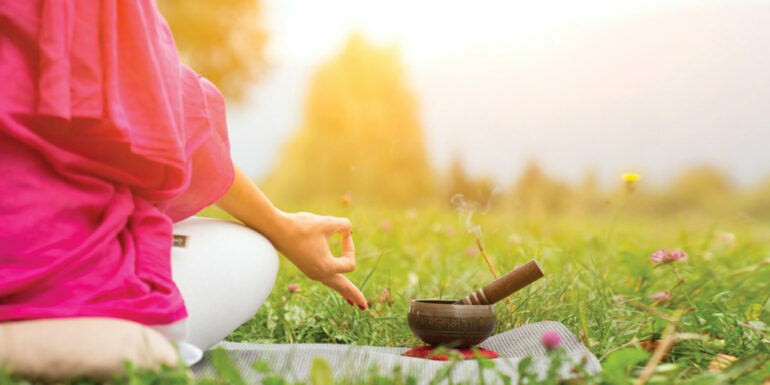 Get engrossed in yoga sessions accompanied by meditation and pranayama. Here you can also enjoy the rich experience of therapeutic Yoga. Hatha yoga is a form of yoga that purifies and energizes your body relieving all the stress and depression. You can control and calm your mind at Chaitanya Wellness. This form of yoga also improves your flexibility and body posture. It is not anything difficult, you just need to relax and stretch. Do not give a second thought, just go and find your inner self and peace of mind by practising yoga.